The Nazi genocide was underway, and young Canadian Nosson Meir Wachtfogel was instructed to flee Kelm where he had been a yeshiva student. While he was running for his life back to his family in Montreal, he had a prophetic dream. 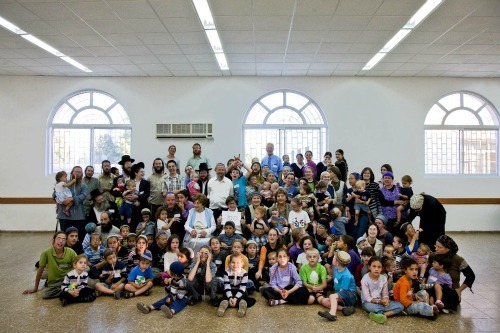 When he awoke, young Nosson Meir understood that this dream was a sign that he was meant to pass on the teachings of Kelm to the next generation. And that is what he did. He took that box of ashes and became one of the most revered rabbis of the previous generation, the Mashgiach Ruchani of the Bais Medrash Govoha of Lakewood. 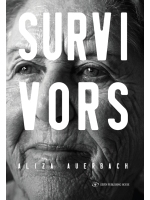 Photographer Aliza Auerbach’s intensely moving, newly-released book “Survivors” is a collection of photographs of Holocaust survivors who have also taken the ashes of their murdered families and the thriving Jewish world that Hitler destroyed–and run with them. 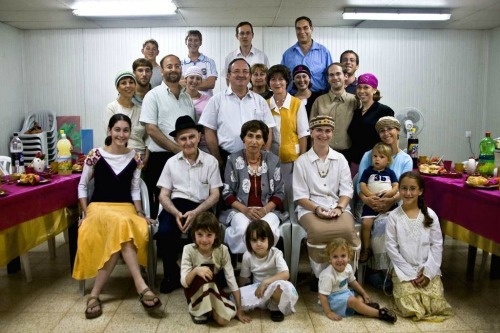 By establishing proud, strong Jewish families in the land of Israel. The ultimate revenge. As a special offer for JewishMOM.com readers, click on this book cover to receive a 20% discount with free shipping in US and Israel. 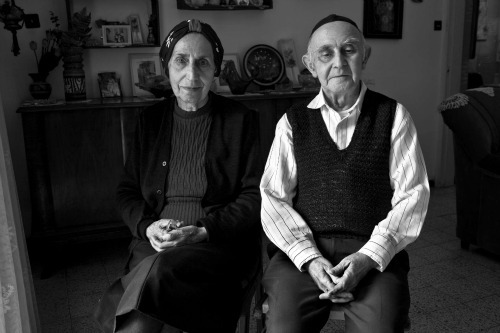 Gefen Publishers on Survivors: Survivors is not just another Holocaust photo album. It is a special work that confirms optimism and vitality. It deals with the cycle of life and its wonders. It took renowned photographer Aliza Auerbach five long years to create this album. 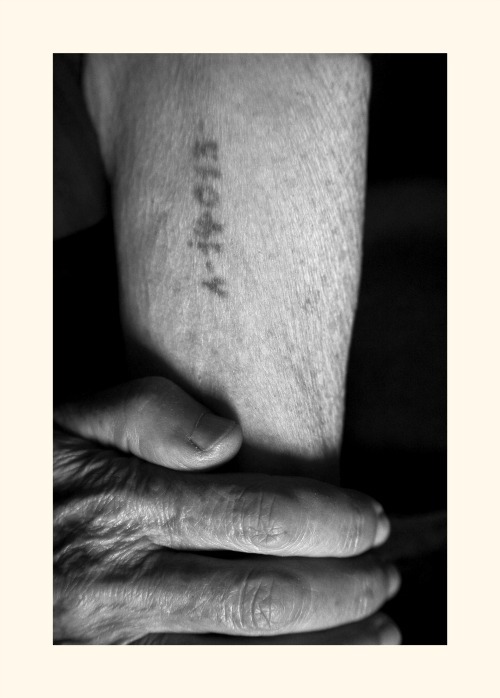 Her subjects represent Holocaust survivors from seventeen countries – countries associated with the Holocaust, like Poland, Germany, and Lithuania, as well as such places as Libya, Tunisia, Greece, and Macedonia. 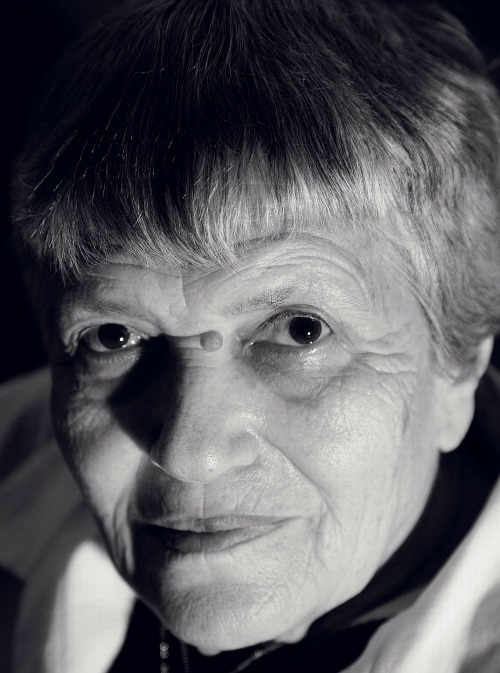 The album contains twenty-nine black-and-white portraits of survivors accompanied by their autobiographies. It also shows personal objects they have kept, either from the camps and ghettos, or from their pre-war homes. Throughout the album one encounters photographs of railroad tracks in the snow, which were taken in Jerusalem but echo the trains of Europe in the 1940s. 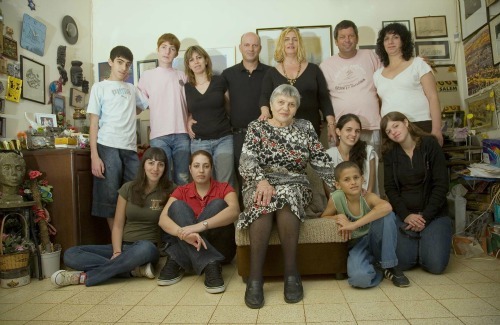 The emphasis, though, is on the new families the survivors have created in Israel. Unlike the black-and-white portraits, these photographs are in color and spread on two pages. They show the children, grandchildren, and great-grandchildren that sprung from a single survivor. For example, one survivor gave birth to eleven children, from which eighty-seven grandchildren and 205 great-grandchildren were born! This moving album shows the survivors as they are today, with the emphasis on hope, on the miracle of rehabilitation, the power of survival, and the unbelievable wonder of continuity, in spite of everything. This is the best revenge and only a positive and permissible revenge! who managed to escape from Europe three weeks before WWII broke out. Unfortunately his parents who were unable to flee were murdered in 1941. I am named after my grandmother hy’d. When my first son was born and placed in my arms, I too felt this was the best revenge against Hitler yimach sh’mo. My son, named after my grandfather hy’d, now has four children of his own. The Jews must be the only People in the world for whom ‘revenge’ is to live, give birth and bring up children and manage to make it to experience being grandparents, even great grandparents. May we all experience lots of revenge, including those of us who are not survivors, in memory of those Jews whose families were wiped out. 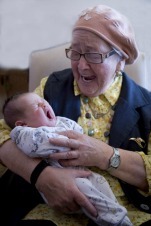 Photographing survivors with their grandchildren and great grandchildren is a beautiful project.